It is not the law itself, therefore, which is sin. But sin avails itself of the law as its starting point, that is to say, sin – here thought of as a personified power – gets its opportunity through the law. For the law forbids sin. Consequently, when the law comes on man with its prohibition, sin springs into action and awakens in man the desire for what is forbidden by the commandment. In that sense it can be said that the desires are ‘by the law’ (v. 5). Thus it can also be understood that sin is ‘dead’ apart from the law, that is, sin asserts itself in man only when the law comes to him with its prohibitions. Then sin begins ‘to live’ (v. 9), it stirs from its slumbering, its resistance awakens to the power that is bent on bridling it. What is written in 1 Corinthians 15:56 applies here as well: ‘the strength of sin is the law.’ Without the law sin would not have been able to make men rebellious and lawless. For this reason it can also be said that sin, starting from the law, deceives man. By holding up the commandment to man as the end of his liberty and by promising him life in the transgression of the commandment, sin draws man under its enchantment. It promises him just that which the law appears to take away, and leads him thus into death. Herman Ridderbos, Paul: An Outline of His Theology, p. 144. In 1934, Walter Bauer argued that there was no clear line between heresy and orthodoxy in the early church, but since the orthodox were stronger, their views eventually prevailed in what we now call the New Testament (a sort of survival of the fittest). Bart Ehrman has taken this thesis and run with it. Similarly, others like Hal Taussig are talking about “A New New Testament” made up of other early religious writings. These men and their ideas essentially cast loads of doubt on the historic New Testament canon that Christians have always accepted, studied, believed, defended, and died for. In light of Bauer’s thesis, it’s important to have a biblical and apostolic view of the New Testament canon. Authentic diversity should not be the standard that leads us; rather, apostolic doctrine is what we Christians should hold tightly. After all, the apostles are the foundation and Jesus is the cornerstone (Eph 2.20). We accept the apostles’ words because Jesus commissioned and sent them in his name and by his authority (Mark 3:14, 6:7-13, etc.). In the Old Covenant there were prophets and prophetical writings; in the New Covenant there are apostles and apostolic writings. I appreciate Herman Ridderbos’ words on this topic. “The closed nature of the canon thus rests ultimately on the once-and-for-all significance of the New Testament history of redemption itself, as that history is presented by the apostolic witness. All the more, then, the New Testament cannot be qualified fundamentally as a witness to the faith of the early church. Such thinking not only fails to understand the revelatory nature of the canon, it also destroys the principle distinction between the canon of the church and the subsequent faith of the church. The closed character of the canon, in contrast, fully preserves this principial distinction between faith and revelation” (Redemptive History and the New Testament Scriptures, p.25). 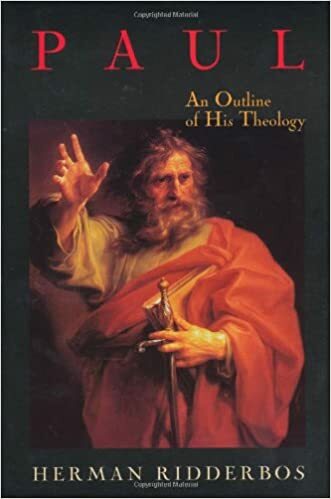 As I’ve mentioned before, if you’re interested in the study of the NT canon, I highly recommend Michael Kruger’s work – specifically Canon Revisited and The Heresy of Orthodoxy (with A. Kostenberger). These books, along with Ridderbos’ aforementioned work, are great resources to refute the recent attacks on the NT canon and the emphasis of diversity. In other biblical terms, we can say that just as farmer can’t make the seed grow, neither can humans usher in the kingdom of God (cf. Mk. 4:26-29). The above quote was taken from pages 23-24 of Ridderbos’ The Coming of the Kingdom.